A teacher who was caught at just over three-times the drink-drive limit on his way to work has been told he could have put his school children in danger. 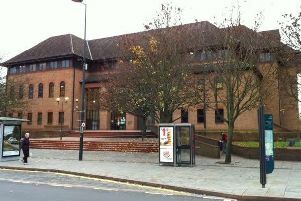 Chesterfield magistrates’ court heard on Wednesday, July 11, how Gary Lee Hatton, 41, of Manor Avenue, Brimington, Chesterfield, had been travelling to work in the morning when he was caught by police following a tip-off. Prosecuting solicitor Lynn Bickley said that the police received information about a possible drink-driver on Wednesday morning, June 20. The court heard that Hatton registered 120 microgrammes of alcohol in 100 millilitres of breath when the legal limit is 35 microgrammes. Hatton pleaded guilty to exceeding the alcohol drink-drive limit. Magistrates stated that they recognised Hatton had managed to realise what he had done was stupid and dangerous but they added that as a teacher he could have ended-up killing one of his pupils. Hatton was sentenced to a 12 month community order with 100 hours of unpaid work. He was also disqualified from driving for 29 months but this ban could be reduced by 31 weeks if he completes a drink-drive rehabilitation course. Hatton was also ordered to pay £85 costs and an £85 victim surcharge.